Say Word?! Kanye West dropped a bomb a few hours ago by tweeting a message that took all of us by surprise. 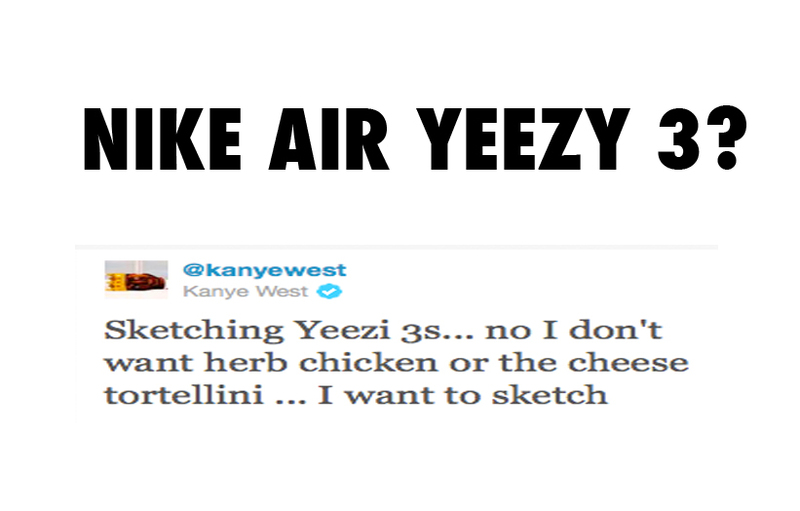 Kanye West was apparently sketching the Nike Air Yeezy 3 during Dinner earlier today, followed by a “No to Cheese Tortellini or Herb Chicken” Rant. However, We’ve yet to see the Nike Air Yeezy 2 in full detail or even hear about the other colorways releasing, but at least it gives us an idea of the Nike Air Yeezy 3 possibly releasing in the coming years. Let us know your thoughts! The Air Yeezy 2 didn't even come out yet!, and Air yeezy 3 already being though about?! ?